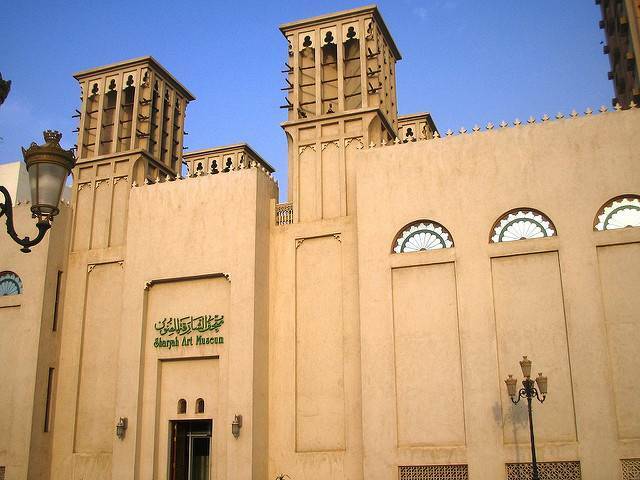 Sharjah Arts Museum is the largest one in the Arab peninsula to hold both temporary and permanent arts of many popular artists. Many arts of Middle East artists make way into this museum. The traditionally built building with wind towers houses a wide range of modern arts. Big names like UAE painter Abdul Qader Al Rac and the winners of Sharjah Biennal are associated with this museum. There are galleries of mesmerizing art works that relate to modern times. On the whole, 300 arts belonging to the 18th and 19th centuries some of which inspired from the works of Picasa are all displayed. Monthly exhibitions conducted here welcome new age artists and their works. A library located at this museum is worth a visit. There is souvenir shop, café opposite to the museum library. To know the history, culture and valuable treasures of the Middle East, visit this museum whose arts express the very same qualities.